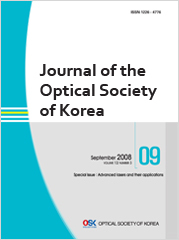 This paper described an off-axis five-mirror-anastigmatic telescope. It is composed of three aspheric surfaces and one spherical surface while the third mirror and fifth mirror have the same parameters at the same place. This configuration is useful for having wide field of view. The strip full field of view for the near infrared telescope is 20°×0.2°. The entrance pupil is located in front of the first mirror. There is an intermediate image between the second mirror and the third mirror. The entrance pupil diameter is 100 mm and the effective focal length is 250 mm. The spectral range is 0.85-1.75 μm. The pixel pitch is 15 μm. The image quality is near the diffraction limit. Some methods were used to restrain the stray light such as a field stop near the intermediate image, the baffle, the narrow-band pass filter and a stop in front of the focal plane.